Just Dance 2016 is the latest offering from the famous franchise that has been churning out dance party games since 2009. 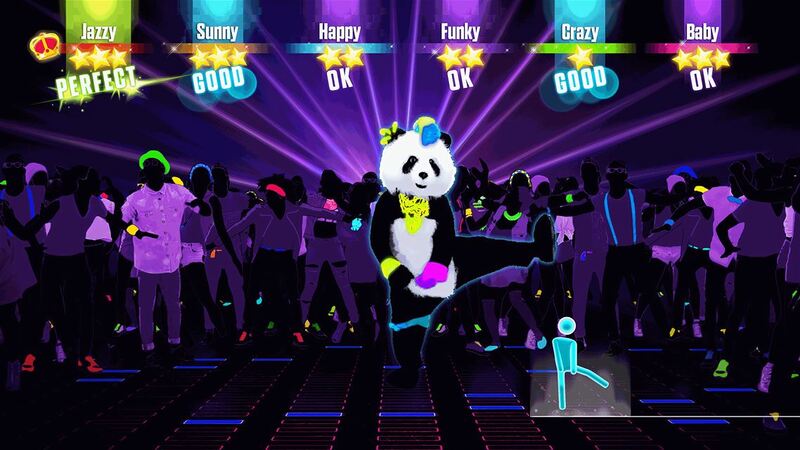 But is Just Dance 2016 offering anything that is new, or could you quite happily get by with a previous version? Well, for a start there are more than 40 brand new tunes to dance along to including recent hits from Jason Derulo, Meghan Trainor, Calvin Harris Ft. John Newman and Lady Gaga. As with all Just Dance games there is also the addition of plenty of novelty songs to run alongside the serious stuff. This time round you can choose from being an angry bird, jockey riding a horse or pretend to be an animal dancing along to the Copacabana. Not necessarily something you’d want to do alone, but in the heat of a party? 43 tracks may not sound a lot, so for those who want to keep their choice of songs updated there is now Just Dance Unlimited, a subscription streaming service which gives you access to a catalogue of more than 150 tracks, constantly updated throughout the year. It does come in with a rather hefty price tag though, but if you need more than the initial tracks on offer and can afford it, then it is your only real way of keeping things fresh. The gameplay hasn’t changed. You dance along following the actions of the character on the screen as if it were your reflection in a mirror. Throughout the song you are given feedback on how well you are doing in the form of comments: OK, good or perfect. Upcoming moves are shown in the bottom right corner, whilst colourful and fun graphics brighten up the background. Some songs are designed to be danced alone but most are for partners or groups of up to six. The dance moves are cleverly designed to include fun interactions between the players which are just as amusing to watch as they are to perform. For those of us who are not gifted at dancing, Just Dance doesn’t judge. Move your limbs in roughly the right direction and it’ll reward you with praise and points. The game contains six modes. 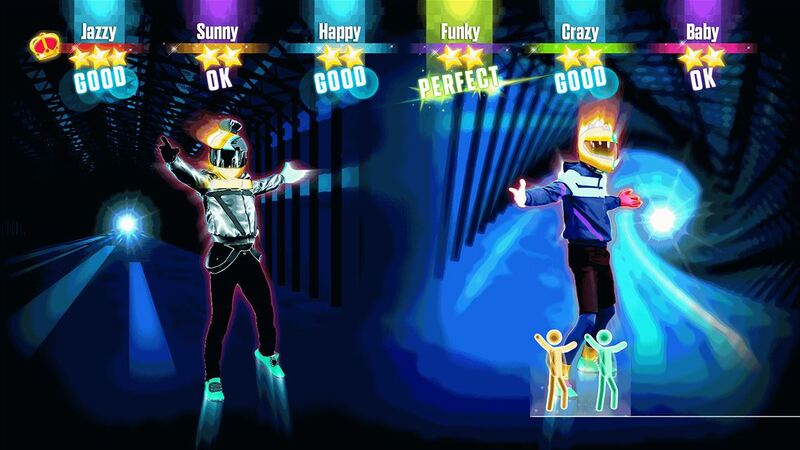 ‘Dance Party’ is the classic mode where you can choose your song and jump in. Two options are available – rival or coop, depending on whether you fancy teaming up with a few friends or battling it out on the dance floor for the most points and bragging rights. Up to six people can dance but anyone else who wants to join in can sing along. Kinect will struggle to pick up the singing but I found that plugging a microphone in was the much better option. When the song is over you are told how many points each player scored as well as getting the chance to re-watch the joy (or horror) of your dancing in a short video clip. This can be saved or shared, or deleted never to be watched again. Completing new songs unlocks avatars which can be used on your profile with 160 in total to collect. Points can be spent on new versions of songs which feature a different character and background. For people who want to play the game to get a sweat on and burn some calories, the ‘Sweat and Playlists’ mode is the one for you. You can make your own playlist for a personal workout, pick one song or choose from a non-stop shuffle. The amount of calories burnt and the time you have been dancing are displayed on the screen. 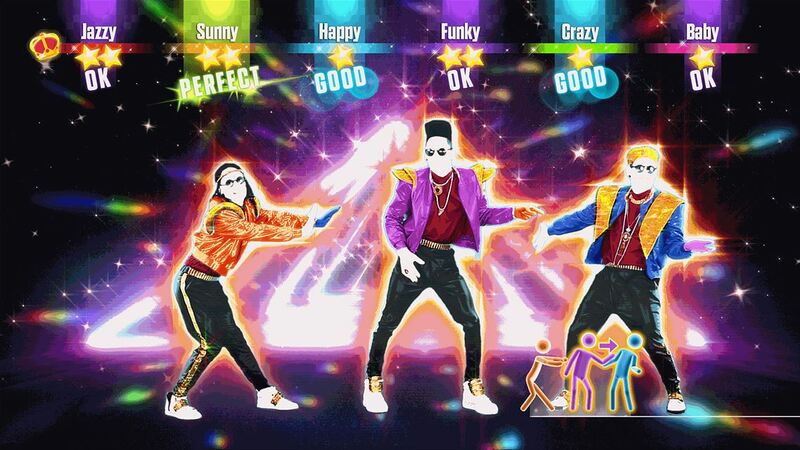 ‘Showtime’ mode is brand new to Just Dance and allows you to unleash you inner pop star. Choose from one of 10 songs and lip sync or sing to the lyrics on screen whilst Kinect records your moves and combines them with on screen graphics and effects to create your own unique music video. You can watch, save and share your performance with the rest of the world if you so wish and in the ‘JDTV’ mode you can watch snippets of shared videos. There are plenty of opportunities to get competitive with friends and strangers alike. In the ‘World Video Challenge’ mode, you dance against players that have sent in videos of their performance to try and beat their score. During the game you can see yourself dancing in one corner along with your opponent in the other. Some of these dancers are seriously good so the chances of you beating them and having your video added are not great unless you too are a dance master. Something which I am not. In ‘Dance Quest’ mode you choose your quest and then play against a series of AI opponents in three different songs. You can choose the difficulty level of the opponents and battle your way up to the top three, moving up the leaderboard as you perfect each move. Completing quests successfully allows you to unlock new quests and extra quests are available for Just Dance Unlimited subscribers. If you don’t have Kinect, then like last year you can still play Just Dance using the Just Dance Controller App. This is a free smartphone app that enables you to use your smartphone as opposed to the more accurate Kinect senser. Up to six players can use their phone and whoever connects first when the game loads up gets the job of browsing and choosing tracks. During the songs you hold the phone in your right hand and dance along whilst the game picks up your moves. I’m not sure how accurate this is but then again, as I’ve already stated, accuracy is not all that important in Just Dance. The option of non-Kinecters being able to play the game is a welcome addition and I actually preferred using my phone as a controller rather than the Xbox controller. So, is it worth buying Just Dance 2016? If you already have last year’s version and you enjoyed it, I would recommend this just for the new songs available and if you want plenty more then the Just Dance subscription is a good option. However, the extra features on the new game don’t add up to an awful lot; ‘Showtime’ mode is fun for younger players but the novelty soon wears off. The Just Dance franchise hasn’t lost its shine yet as it was pretty good to start off with but it looks like they might just be running out of ideas to make it any better. I'm a part-time gamer and a full-time writer of science-y things. On the few odd occasions that I'm able to wrestle the Xbox controller away from the avid gamers in my family, I enjoy spending time playing puzzle and adventure games.